On May 1st, the girls track team had their Heart of Iowa Conference meet at Greene County. They ran really well placing in some events. 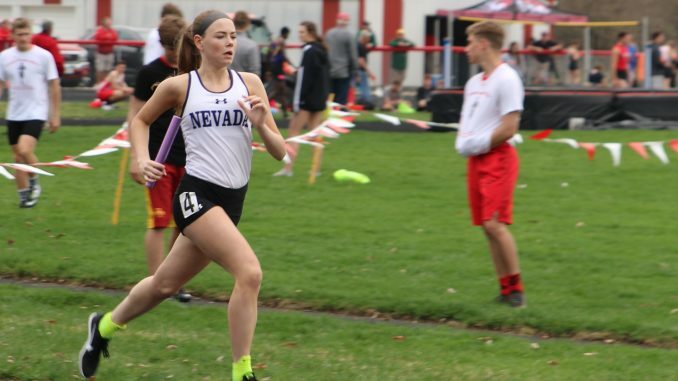 Notable placings were Kacie Rewerts placing first in the 3000 meter run (11:12.27), Addi Vorm placing second in discus (101-09), and Gabby Sampson placing third in the 800 meter run (2:41.30). The meet ended due to the weather before the 1500 meter run. Article contributed by Jacob Stufflebeam.